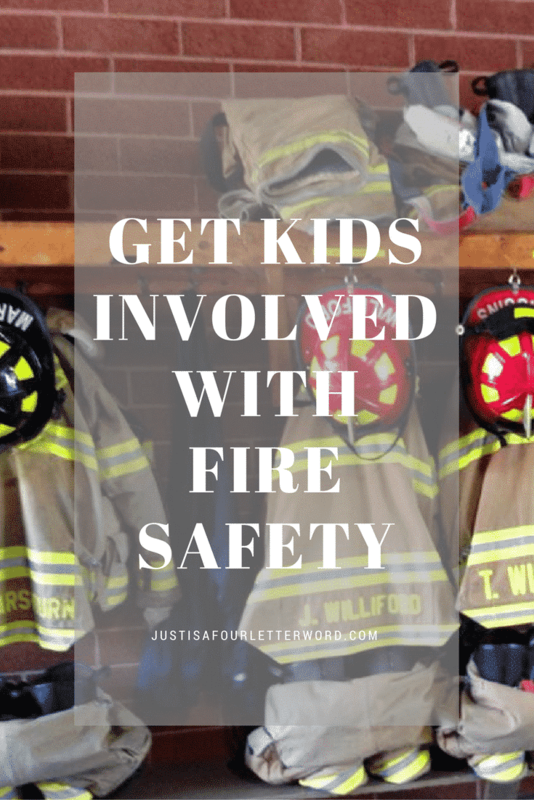 When was the last time you had a fire drill at home with your kids? I’ll be honest, we haven’t done it yet! 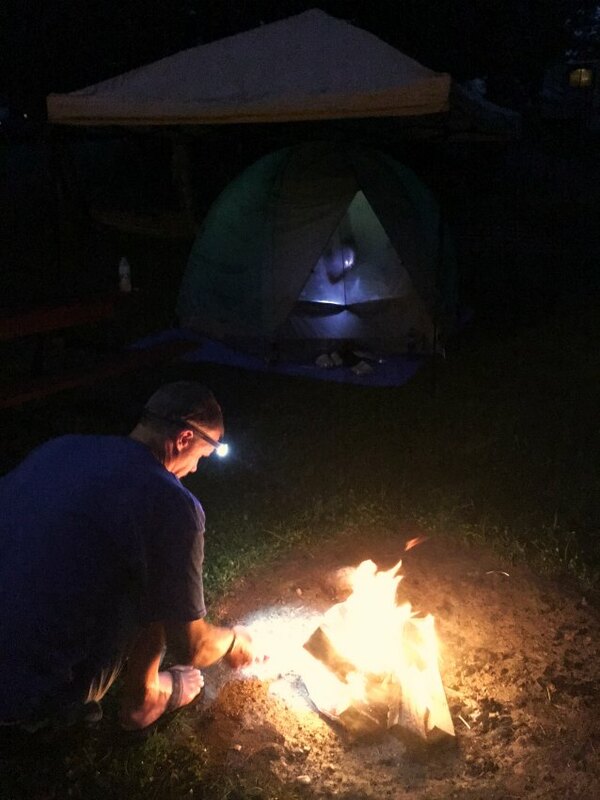 It’s only been in the past year that we started making campfires and teaching the boys about fire safety in general, but there is no better time to get an emergency plan in place. No one wants to think about the worst case scenario, but sometimes we have to. When Oscar was in preschool, we toured the local fire station, got to climb inside a fire truck and his teacher even put on a fireman’s uniform. We learned a lot that day and it reminded me of the safety we often take for granted. Both my boys are in elementary school now and they have already had emergency drills there, so it’s about time we do our own at home. The thing is, fire safety is not only important, but it’s relatively easy to teach because the visuals are so compelling. Kids love a good fire truck so nailing this one is a parenting win that’s achievable for all of us. With Fire Prevention Week just around the corner, now is the time to get your hands on the amazing resources available for free on Sparky.org. Teachers and parents will find fun games, helpful stories, music videos and checklists to make sure your homes and classrooms are safe and sound. I especially love the Sparky lessons with free downloadable information to share with students and even a take-home sheet to send along so kids can check their smoke detectors at home. The digital backpack is where you’ll find tons of videos and other content sorted by grade level. This is seriously a treasure trove of useful information. And it’s free! I don’t know about you, but there are times when stories and lessons work in my house and times when there is no chance of meaningful teaching moments. For this reason, I fully admit to sneaking education into playtime and that’s why I love the Sparky’s Firehouse app. 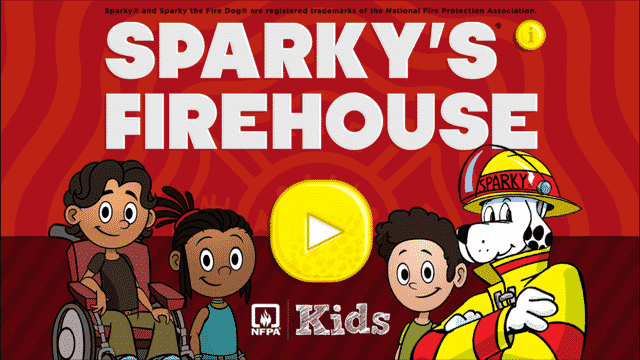 With fun and easy-to-play games, Sparky the Dalmation teaches kids what to do if they hear the sound of a fire alarm. 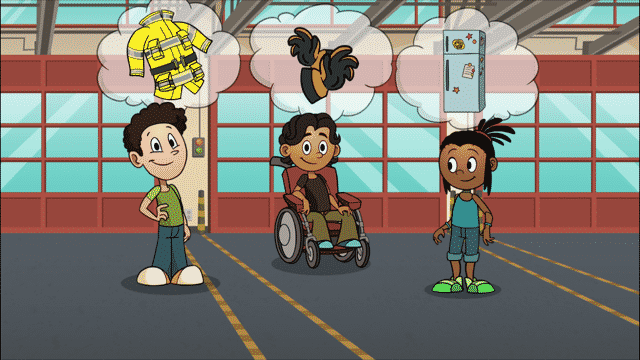 The app also lets kids explore a firehouse, drive a firetruck and hear what a fire alarm really sounds like so they will know it if they hear it in real life. My oldest especially loved pushing that button over and over (and over). 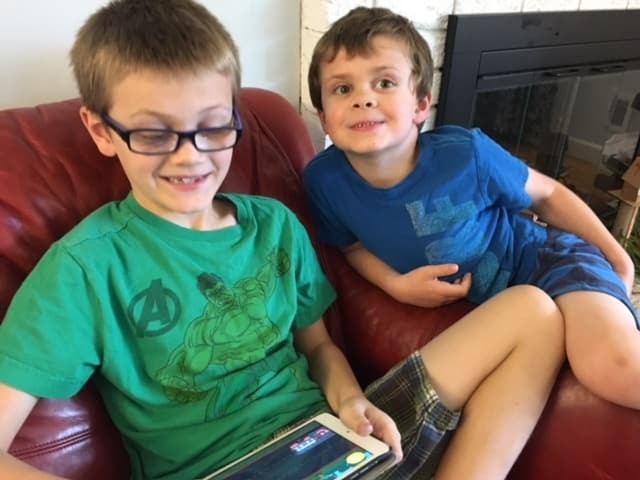 We spent some time playing with the new app and we all thought it was really fun with a great takeaway! Check out what the boys thought below. With the seasons changing, there is no better time to make sure your smoke detectors are up-to-date and have new batteries. While you’re at it, why not make an emergency plan in case you need to get out of the house quickly? I’m already planning our own family fire drill. Sparky’s Firehouse app is FREE on iPhone and Android. Get it now!